The Mettathon is a fundraiser for MindSpace, the Bozeman Dharma Center’s young adult meditation group, which provides a diverse and robust offering of meditative practices for the benefit of the greater Bozeman community. In this polarized and unpredictable time, we will explore practices that cultivate depth, balance, and insight including periods of silent sitting, dharma talks, yoga, creative arts, Qigong, a session on self compassion, chanting, and a chance to create a piece of collective poetry. The theme of our event is the harmony of sameness and difference– an invitation to engage more fully and compassionately with our individual and collective worlds. All are welcome, no prior meditation experience necessary. Feel free to drop in anytime, come and go as you like. This is a fundraiser for the MindSpace Sangha of the Bozeman Dharma Center, suggested donation is $5-10/hour. We also welcome the BDC community to sponsor young adults participating in the event. This can be either a flat donation, or an amount contingent on the number of hours spent at the event (similar to a “walk-a-thon”). Biographies and sponsorship forms for each of the young adults will be on the right hand wall close to the BDC entrance. Thank you for your support of MindSpace! For MSU and Bozeman youth beginning to explore spiritual life, MindSpace is a place of refuge and community. Snacks and tea provided, please bring lunch/dinner, or feel free to go out and come back. If you are unable to attend but would like to contribute and support our young adult group, click here to go to our donation portal. MindSpace is a weekly gathering of adults roughly 18-35 years old, who are interested in learning about meditation, mindfulness, and Buddhism. 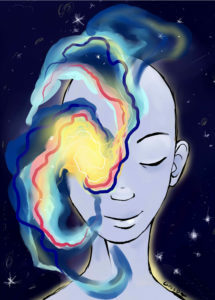 MindSpace started in January, 2016. We meet weekly and our mission statement is: “To foster a clear mind, compassionate heart, and develop an intimacy with human experiences. To encourage and support each other in daily practice to embody mindfulness in everyday life.” Currently we have about 15 people per weekly meeting, age ranges from 18-35, the average being early-mid 20s. All groups at the Dharma center run on monetary donations and volunteers time. We are doing a fundraising drive to raise funds for the development of the MindSpace group which includes running future retreats, offering scholarships, and going towards rent of the space in the dharma center for our weekly gatherings. The Mettathon is a community event, offering teachings by local dharma teachers, silent meditation, streamed video, yoga, poetry, and other mindful activities. 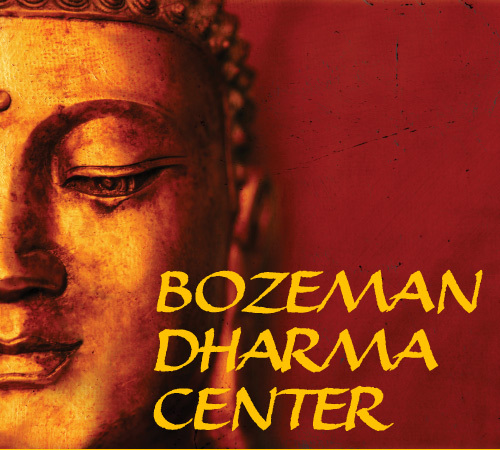 The goal of the Mettathon is to introduce the Bozeman community to the Dharma Center and a variety of Buddhist teachings while also fundraising for the MindSpace young adult meditation group. If you would like to sponsor a MindSpace member (flat donation or pledge per hour of meditation), please see the sponsorship forms posted at the Dharma Center or email MindSpaceBozeman @gmail.com. Our calendar program automatically links other events to the bottom of the page. Many of these events are out of date; please look carefully at the dates of any events you click on.